Jacqueline Leavitt, PT, has been supporting others in their healing process for over 20 years. 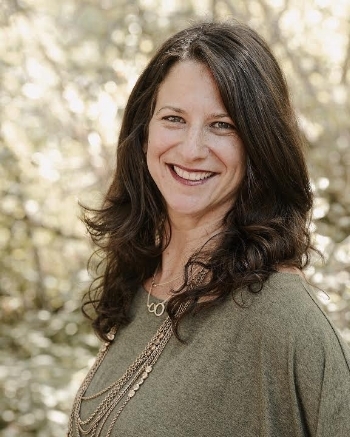 She integrates a holistic approach to physical therapy using both traditional and unconventional manual therapy techniques including visceral manipulation, craniosacral therapy, somatoemotional release, lymphatic drainage, and myofascial release. Jackie provides a unique healing experience for those who have physical or emotional discomfort and seek balance in their lives. The gentle nature of her work provides profound changes in the body to occur by communicating with her clients’ inside world and help them to create a relationship with their innate wisdom. Jackie holds a bachelors degree in Biology from the University of California, Santa Cruz and a Masters of Science in Physical Therapy from the University of Nevada, Las Vegas. She is dedicated to the evolution of her therapeutic skills and continues to immerse herself in extensive continued education courses in women’s health, pelvic pain, manual therapy, craniosacral therapy, visceral manipulation, neuro-manipulation, lymphatic drainage, and spinal mobilization. A certified doula (DONA approved) through the New York Massage School and a trained Pilates instructor through Center Studio in Los Angeles, Jackie also assists craniosacral therapy classes through the Upldeger Institute and all levels of the visceral manipulation through the Barral Institute. In addition to her own education and being of service to her clients, she also enjoys nurturing the development of those interested in furthering their studies and leads visceral manipulation studio groups. Jackie began her private practice in New York City and in 2009 relocated to her native town of Los Angeles. She feels blessed to practice and live in beautiful Santa Monica, California and remains bicoastal, treating her NYC clients quarterly. Her personal journey of self-discovery and continued healing allows her to hold a sacred space and be fully present with her clients. When she’s not helping others, she can frequently be found on her yoga mat, meditating, spending time outdoors and traveling. With a playful spirit and open heart, Jackie is here for you.